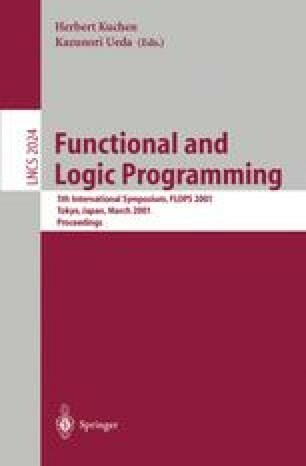 The aim of this paper is to provide theoretical foundations for the declarative debugging of wrong answers in lazy functional logic programming. We rely on a logical framework which formalizes both the intended meaning and the execution model of programs in a simple language which combines the expressivity of pure Prolog and a significant subset of Haskell. As novelties w.r.t. to previous related approaches, we deal with functional values both as arguments and as results of higher order functions, we obtain a completely formal specification of the debugging method, and we extend known soundness and completeness results for the debugging of wrong answers in logic programming to a substantially more difficult context. A prototype implementation of a working debugger is planned as future work. We are grateful to the anonymous referees for their constructive remarks. M. Hanus (ed. ), Curry: an Integrated Functional Logic Language, Version 0.7, February 2, 2000. Available at http://www.informatik.uni-kiel.de/~curry/.